Given the vast number of weird and wonderful hybrid games that litter the App Store, it's no surprise that many of these genre oddities struggle to make much of an impact. 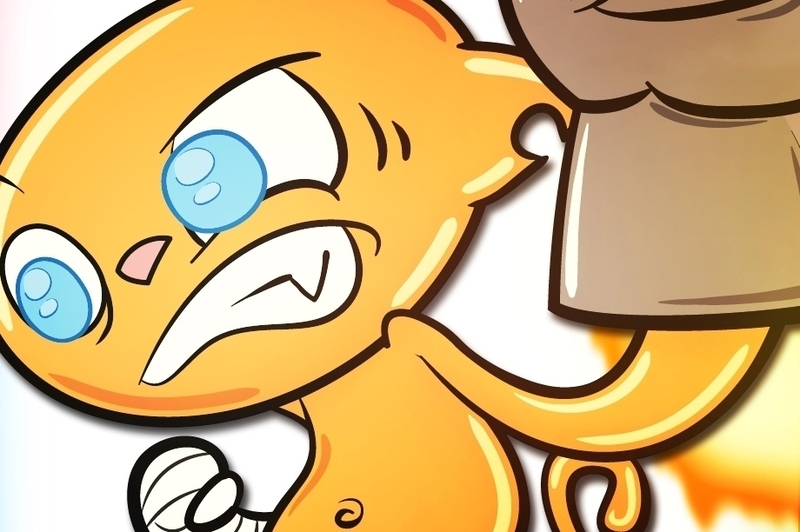 ZEZ is an intriguing blend of endless-running and match-three puzzle solving, and it all kicks off in a boxing ring. Lining up to take a knockout swing against your opponent, you're launched up into the air, where you'll have to frantically match gems to gain more and more height, before crashing back down to earth with enough oomph in your punch to finish off the fight. There are a handful of game challenges blended together in ZEZ . First, you'll have to take part in a timer minigame to get rocketed off to a decent height, before you can get stuck into the meat of the game in mid-air. 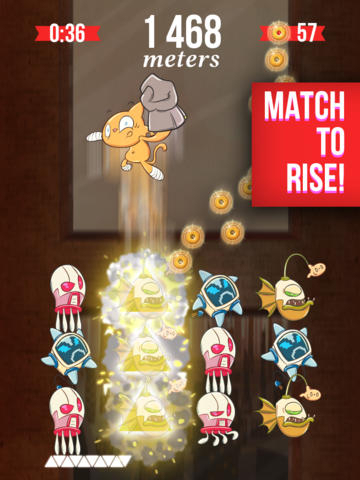 Once you're airborne, you'll need to create matches from the gems at the bottom of the screen, and each match pushes you a little higher - the bigger the match-up, the bigger the boost you get. 60 seconds later, you'll be sent plummeting back down to earth to deliver your final blow. Once you've bagged the very early upgrades - combo boosters, turbo modes and the like - you'll hit a brick wall in your high-scoring skills very quickly. Once you've mastered the core gameplay, everything else is all down to luck. Sometimes you'll get a great run of match-fours that propel you to unimaginable heights, sometimes it feels like the game's deliberately working against you and you simply want to restart. The game needs more modes too, as the 60 second limit per run feels very restrictive given the potential to build on the game's frenzied climbing mechanics. It's because of those gameplay limitations that ZEZ is a rather short-lived affair, although you'll undoubtedly have a blast for whatever amount of time you spend with this generously free game. A little fleshing out of the core gameplay is all that's needed for ZEZ to deliver a true knockout blow against the competition. Let's hope a future update rounds things off nicely.